Inspired by the word husmanskost, “everyday food" in Swedish, Houseman is a neighborhood restaurant where chef Ned Baldwin serves clear-headed food that ranges from the familiar to the unexpected. We make the food that we want to eat. On any given night the menu features favorites such as a hamburger, roast chicken or seasonal vegetables alongside dishes like pickled bluefish or goat sausage. We keep it simple at the bar. Our concise cocktail list has classics, and riffs on them. For the beer drinkers, we’ve got a seasonal selection of bottles and cans as well as a kolsch from Cologne on tap. Our wine list is carefully curated and often updated to include easy-drinkers that are both sympathetic to our food and that will keep the oenophiles among us interested. Houseman is available for off-site catering. We cater anything from cocktail parties to office lunches to weddings. Please inquire via email by writing to events@housemanrestaurant.com for more information and pricing. Very loud music over the speakers for Sunday brunch, but food always impresses, as does the wait staff's knowledge of the menu. This has become one of our top 5 restaurants in NYC. It has a Swedish flair, their food is so consistently good, and they have biodynamic wines. We went for a little special occasion and I wanted a restaurant that would not disappoint and I was not in the mood for the other 4. So I said HOUSEMAN! I cannot wait until those fried green tomatoes hit the menu in the spring. A neighborhood place with very good food, welcoming to families. A little too expensive but it must be this up and coming area. Everything we had was absolutely delicious! Really interesting menu, everything on it sounded appealing. Loved the clam toast and all of the entrees we had - steak, chicken, monkfish. Try the Zapatista cocktail - was delicious. Excellent service and atmosphere - will definitely be back! 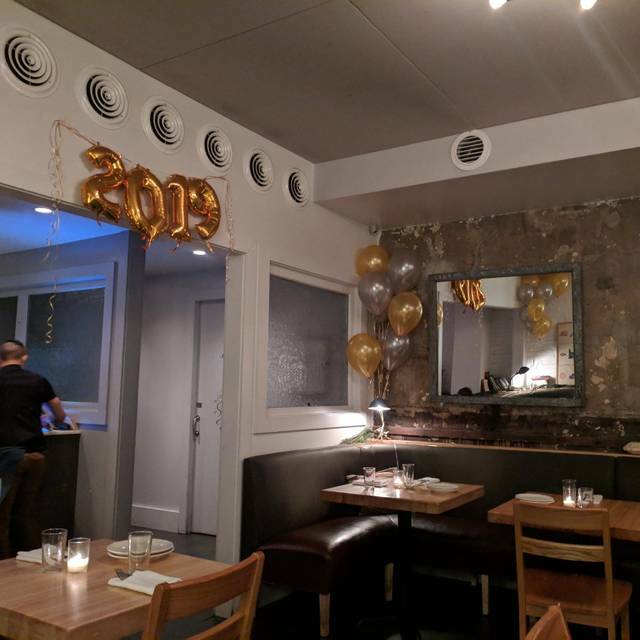 Be prepared for cozy seating and limited main course choices, neither of which detracts from how satisfying Houseman is. Craving steak frites, we decided to venture to the far West Village to try what NY Mag called the city’s best version of the menu staple. Ok, the space is charming, the service very good and the quality overall fine. The steak frites were delicious that we all ordered. Fries yummy and plentiful and meat flavorful (if a little light on the portion). The problem was that the appetizers are ill-conceived. Squid with XO sauce is a dish that doesn’t want to be eaten without rice and merely by the spoonful! Tasty yes, but way overpriced and odd served stand-alone. The clams on toast was good but not for the price charged. The peanut pie was ok for dessert but somehow missed the mark. Cheapest wine was a white Gruner at $48. I disliked paying for one type of bread (whole grain) and butter- that really irked me. 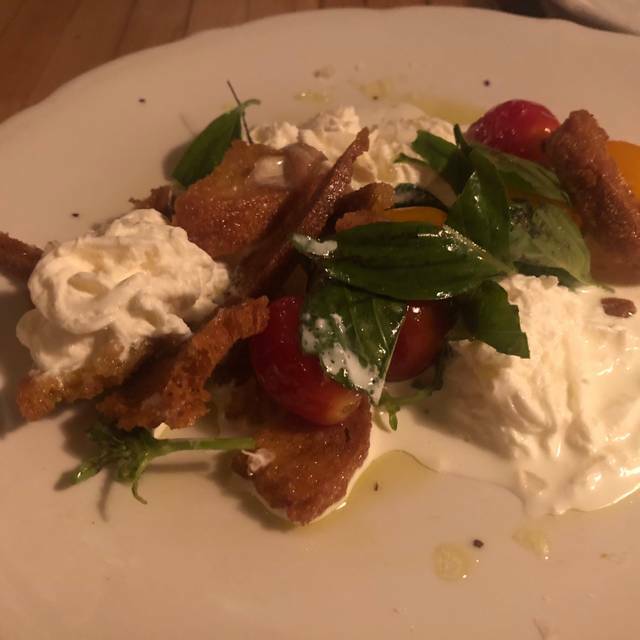 So while the main course was good and fairly priced and the service very good, the overall meal lacked balance and was most definitely over-priced. IF I’m going to pay for bread and butter, it had better be the greatest since sliced white, and it was not. This restaurant is off the beaten path and has a great atmosphere. However, food is not great. We got the burger & fries which was tasty and frankly was the initial draw to this restaurant. We also got the chicken dish which was served lukewarm and wasn't all that flavorful. We also ordered, "fried uglies" which were fine. Nothing exceptional. Would only come back here for a casual drink– the space was decorated well and quiet– or to order the burger, and nothing else. A little pricey for the portion sizes. Everything was solid. Just a perfectly authentic New York City bistro run by a brilliant, talented chef. Go there. Eat. Drink. And enjoy. Excellent for dinner with your parents after a long day exploring the city. Feels warm and comfortable but not tired. Quiet to have a real conversation but not too quiet to hear other people’s conversations! Great food. Not michellin star worthy but worth what you pay. I’d gladly return. Love this Lower Greenwich Street restaurant. Great vibe overall. Good breakfast menu. Nice server. Food was a bit overdone, but nice presentation! Excellent food, fresh ingredients and innovative preparation . Interesting wine list. Service was attentive. Good acoustics in the space made conversation possible without being drowned by other people’s conversations. We love the Houseman. This was our first, but will not be our last, brunch. Love this place and go as often as I can - so delish! The menu at Houseman continues to be reliably exceptional. Great food and solid service. It's the place I go to with friends when we want to have a special dinner. This is great spot for casual dinner great vibe great food! I thought it was fine. I went because it was included on infatuations list of best burgers. To me the burger was okay, but lacked something to set it apart. The fries were pretty good. It took about 20 minutes to get our food order in. I probably wouldn’t go back, but I’m not mad that I went. They’ve got this place just right. Food is excellent. I went there with my friends mom because I read it was cozy with good food and not too loud. It did not disappoint. We both got the steak which was absolutely delicious. The wine was great and server was knowledgeable and attentive. 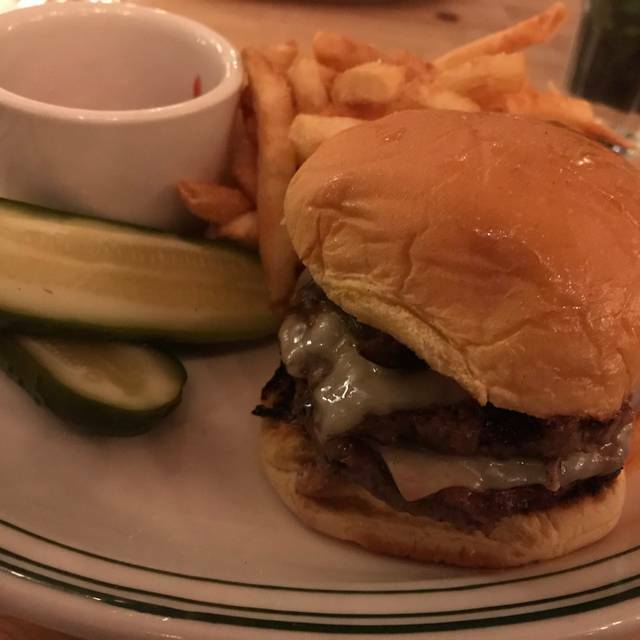 One of my favorite burgers in Manhattan. Amazing food and cocktails. Great service as well. Always great, and I always try to say so here. First time just doing small plates and it was extraordinary. Fantastic restaurant! The food was amazing, the service top notch. We had a group of three couples with diverse palates, and Houseman pleased us all. Highly recommended. Went here over a year ago because it looked inviting. We had dinner at the nice-looking, intimate bar area. The bartender was unfriendly, rude. Decided to give it another try, assuming that our experience just might have been due to an bad night for the bartender. This night there was a different bartender, but low and behold, they were just as unfriendly. Not rude like the first one, but unenthusiastic, helpful or warm. We don't need an overly talkative bartender, since we are having our own conversation during our meal, but since we are sitting so close to them, it would be nice if they made us feel welcome. There are too many other great, friendly restaurant bar-dining options in NYC! Nice little place. The waiter was very nice, and the food was very good. The chicken was great - the chef is very creative! Our party ordered the short ribs, the burger and the skate. The short ribs were nicely prepared and flavorful, the burger great and the skate dreadful. We also had several small plates of which the fava puree, pork belly and fries were the highlight. Our small plates were served immediately but we waited a significant amount of time to be served our main course. Houseman is a nice casual spot, no pretensions, but definitely on the expensive side. This was my third time there and it was another positive experience except for the skate. Absolutely perfect. The food is inventive, delicious, and fresh. The service is friendly, chill, and accommodating. The wine list is brief but interesting. This is soon to be a regular in our rotation. What a happy discovery! It was highly recommended by friends with great taste. I look forward to returning soon. They were so kind about our parade of young children including an infant in a car seat despite the small space. One of our favorite restaurants in New York City. Gracious service, delicious food and wine, and creative cocktails. We love the Houseman burger, and the short rib, and the duck - really, you can't miss. Always delicious. My go to place!